The most enthusiastic member of the Paranormal Investigations Club, Momoe is a year older than Niiya and begins to develop feelings for him after seeing his dedication to solving the Seven Mysteries. Like most people, she is not able to see Yuuko. Momoe also becomes close friends with Kirie by the time of the school festival. 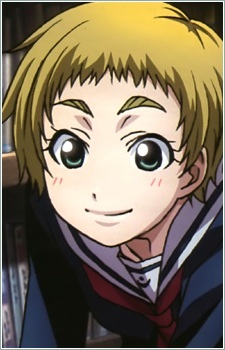 Officially, Momoe is a member of the school's Third Newspaper Club, but she is able to participate in the activities of both clubs due to the unofficial nature of the Paranormal Investigations Club. She is also someone who easily believes in any urban legend she comes across.